This fun snowy collection, full of sparkly fun, features my little penguins, Pete and Penny! These little penguins are Kathryn's Original Characters and are found only in kits by Kathryn Estry. 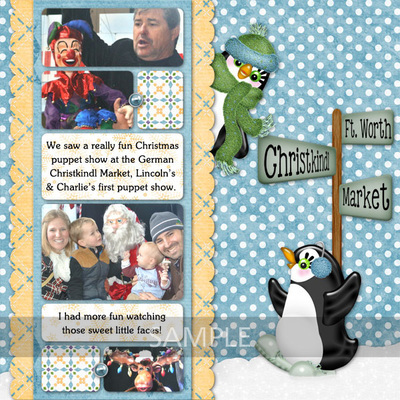 Best deal - Penguin Playground Bundle - discounted 50% PLUS it comes with a FREE pack of Quick Pages.